TRD Manufacturing, Inc., was founded in 1980 as a contract machining company for close tolerance lathe and millwork. 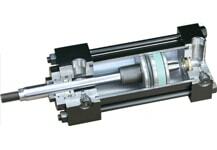 The company's expertise in high precision machining led to the development of a line of NFPA pneumatic and low pressure hydraulic tie-rod style cylinders. Today, these cylinders are recognized for their durability, high-quality construction and long-lasting performance. TRD maintains an industry leading delivery schedule, able to ship most products in 2 to 3 days. 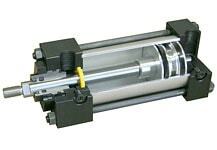 Each cylinder is made to order with the highest quality components, and all product lines have a wide variety of options and modifications available. Through their experienced sales, service, and distribution networks they provide their customers with the highest possible level of service and quality. In January 1998, Bimba Manufacturing Company acquired TRD. This move allowed both companies to increase their product offering while still maintaining the quality operation customers had grown to expect. The financial strength of Bimba has allowed TRD to maintain state of the art manufacturing processes which have offset rising costs and provide maximum benefit to their customers. In July 2005, TRD relocated their headquarters to a new 75,000 square foot facility in Machesney Park IL. The larger building has allowed TRD to bring many new processes in-house, improving their industry leading delivery schedule, and provides ample room to expand operations in the future. 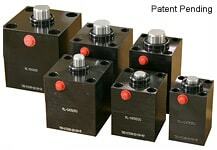 In January 2013, TRD purchased new manufacturing equipment that specializes in Hydraulic cylinder manufacturing. With these new acquisitions TRD is now able to provide their Hydraulic cylinder product lines at TRD's industry leading delivery of 2-3 days for most mounts.